Ever wanted to learn the secrets on how to become a successful Instagram freelance photographer? We have all thought the same thing before, *how do I do something I love and earn money doing it?*. 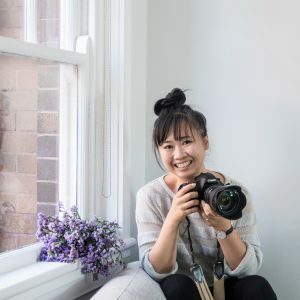 WhatShePictures, Connie Chan, just happens to be one of the amazing Instagram freelance photographers who has made her way to the top! Yew! Her vibrant Instagram feed has got us excited to ask *many* questions. We are so flipp’n excited to share her great tips and insights on how it is to be an Influencer and Instagram freelance photographer. She has some pretty AH-MAZING insights! How did she start? What are her greatest tips?And *how to* take that one amazing photo? Warning: Have your camera ready because you won’t be able to stop yourself from snapping away. What was your first photography job? How did you get it? When I was still in school, my friend’s parents asked me to shoot a family reunion. Like most people starting out, I had no idea what I was doing and I was praying that I wouldn’t mess it up. This was back when film was the norm, so I couldn’t even check my images as I went. I’m a firm believer that you learn best by doing, so it was good to dive in even though I was scared. Have you seen any significant *fun* “photo-trends” during your career as a photographer? Do/Did you follow them? Photo trends are always coming and going. It’s fun to experiment with them because it can modernise your style and put you in front of a wider audience. The opposite problem can happen though. If you jump on a trend too hard, it can date your work in the future. Remember the black and white craze where one red object in the photo would retain its red colour? I never want to see one of those again. Tell us, do you have some crazy OCD tendencies when you take photos? I hate it when the edges of objects look like they’re just touching in my images. I mean, are they overlapping or separated? It’s a visual point of tension and it drives me nuts! This is why I like using a tripod. It helps me make sure they’re all fixed. If you could speak in front of a million people, what would you tell them before they quit their jobs and start working as an Instagram freelance photographer? Really ask yourself if the freelance life is for you. There are a lot of advantages to a regular, salaried job and it’s better suited for most people. 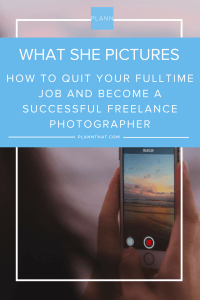 If you’re certain that you want to at least try being an instagram freelance photographer, start building your client base before you leave your full time job to ease the transition. And don’t wait to quit until after your freelance work gives you the same income as your full time job either. Your best work will come after you can fully focus on your business so don’t be afraid to take a pay hit to accelerate your growth. It will pay off in the long run. Could you give us some nifty tips on how to use your awesome photos to also grow your Instagram account? I spend a lot of time looking at Instagram freelance photographer accounts similar to mine. Not to compare their success to mine (because comparison is the thief of happiness), but to understand what it is that I do that’s different, that’s unique to me. Then I build on my point of difference. I want new followers to see that what I have to offer is different to everyone else. I am not just a copy. Your point of difference is one of your greatest assets, so it’s worth really strengthening. When you can hone in on your uniqueness, the people that resonate with you the most will follow. You are the queen of flatlays, what are your top 3 tips to create a beautiful flatlay? Can all 3 of my tips be the same? Light, light, and light. Quality lighting is everything. Your lighting makes or breaks any image in photography. Natural light is popular because it’s free, and readily available, but you need to learn how to use it well. Lighting is not just about making your set bright enough to get a photo. It’s sculpting your subject with light. This is key. Pretty props cannot save your flatlay. Without quality lighting, your pretty props will only ever look average. You must take photos all the time, do you ever put the camera aside and just reeelax? I stopped taking lots of photos while on holiday and on my weekends because I need a break from my camera. When you spend a lot of time behind the lens, it’s easy to stop being present. Instead of being in the moment, you’re analysing how to share it in the future. Those are vastly different things. What is the most common mistake you have noticed people do when they take photos/create content? Aside from not spending enough time on their lighting? People are too personally connected to the content they create. If you’re shooting photos for yourself or as an artform, then that makes sense. But shooting content is for your audience. People forget to look at their images through the eyes of their audience. Maybe you’re sharing a photo of flowers at a florist. Your audience won’t see the entire experience you’re getting while surrounded by the colours and smells of those flowers. They only see what you put into a square frame. They won’t feel the memories you have of that experience the way you would when looking at that same photo. Make sure your photo tells the whole story on its own. All the time. Phone cameras have their advantages too. They’re quick and easy to use. They’re lightweight. And sometimes their lens can capture a shot better than what might be in your kit. Most of my behind the scenes photos are done on my phone for all those reasons. How many pictures do you take to get “the right one” ? I shoot a few dozen test shots as I build my flatlays. I like to see how the light is falling on my objects and how the overall composition looks in the frame as I build the flatlay so I can make adjustments as I go. But in the end, I only save about 2 shots from each flatlay set-up (1 hero and 1 backup) plus each variation if I shoot any that I like. Psst, don’t forget that we have a heap of great photo editing tools available for you to use for free inside the app!